July 2, 2014 — The entire history of our planet reads like a story written by an author who got bored with it before he could finish. It opens with a cosmic and fiery anti-apocalypse that would be the centerpiece of any creator’s demo reel, continues through eons of brilliant dinosaurs that would have to be considered the signature work of any artist who produced them, and then somewhere around humanity, the author started writing things like, “and then people started to care a lot about who their favorite millionaires were and how to sell things to kids under 16.” I would never finish reading that book. Granted, I might not be the target audience for Earth. 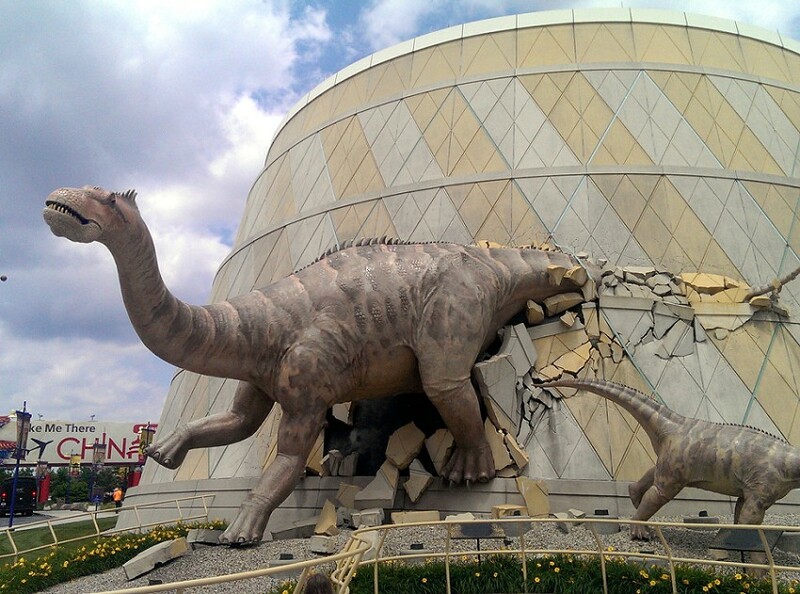 But dinosaurs. You guys know I love ’em. There are few ways I could love ’em more. But here’s one: dinosaur mummy. Because mummies. You guys know I love ’em, too. Now, dinosaur mummies are extremely rare. Since the time we first discovered we were walking on monster bones, we’ve found less than half a dozen notable specimens. That’s because they have to win the immortality lottery twice, first by desiccating into mummies and then by mineralizing into fossils. But when that happens, it means we of the naked ape sort get to see actual skin texture and non-bone structures that have been preserved in addition to the usual skeletal information we get from the fossils of our Terrible Lizards. The first dinosaur mummy I ever saw was at the American Museum of Natural History in Manhattan. 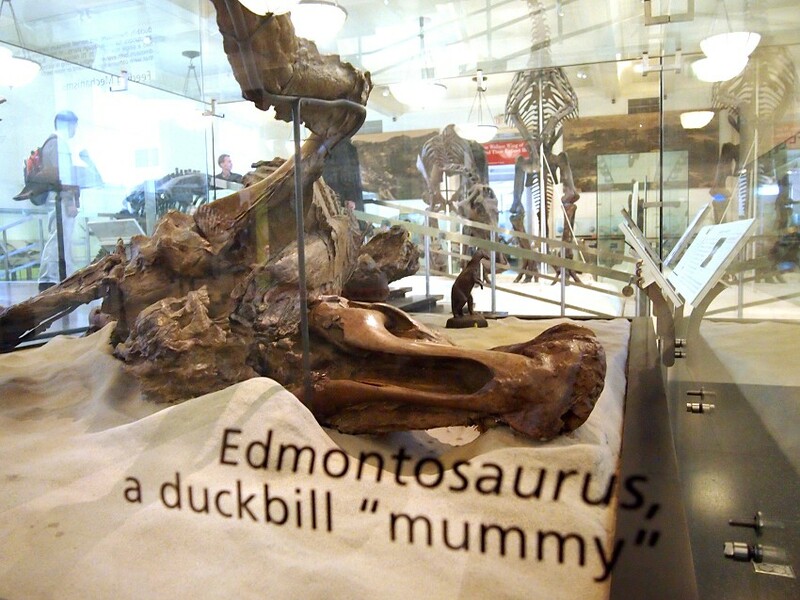 It was a duckbilled dinosaur, an Edmontosaurus, that was discovered in 1908. It was displayed in an elegant glass box labeled with small black writing as if whoever designed it didn’t really understand the awesomeness of what they were labelling. Especially since they put mummy in quotes. But the dinosaur mummy I saw most recently, he was done up right. As he should be. Because he’s a much bigger deal. His name is Leonardo. He’s a 23-foot-long Brachylophosaurus, another duckbilled dinosaur. He’s also 77 million years old and the most intact dinosaur fossil that the human race has ever found. 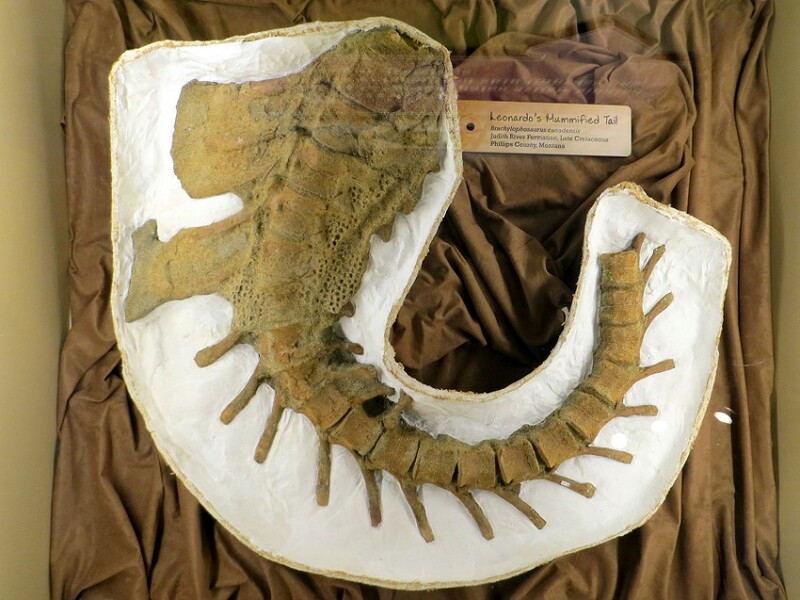 He was discovered around Malta, Montana, in 2000, and was named after some nearby rock graffiti that read, “Leonard Webb loves Geneva Jordan 1917.” He’s the property of the Great Plains Museum and Field Station there, but was moved just a couple of months ago to the Children’s Museum of Indianapolis for a 10-year loan. Just in time for my visit. 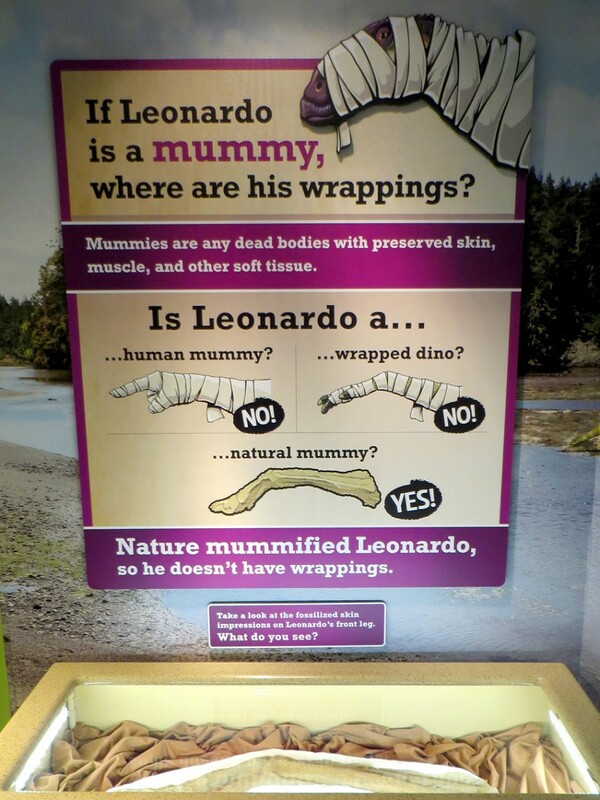 That’s how you label a dinosaur mummy. Because we’re all thinking it. And want many movies about it. Until then, there’s always that Scooby Doo movie about the dinosaur ghost. 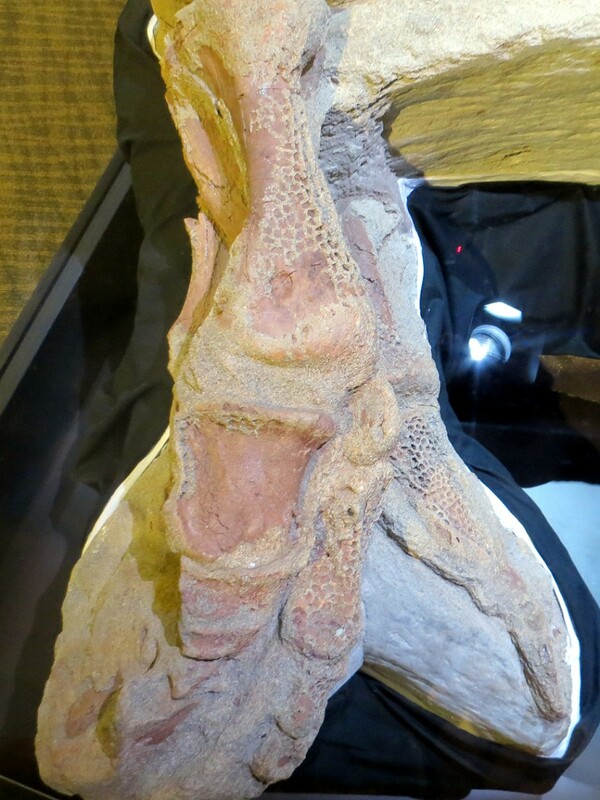 So what exactly can we see on this late Cretaceous bit of bodacious? Enough to make your most staid paleontologist jabber like an excited toddler who has no clue that life is terrible and not just cartoons, candy, and dinosaur mummies. 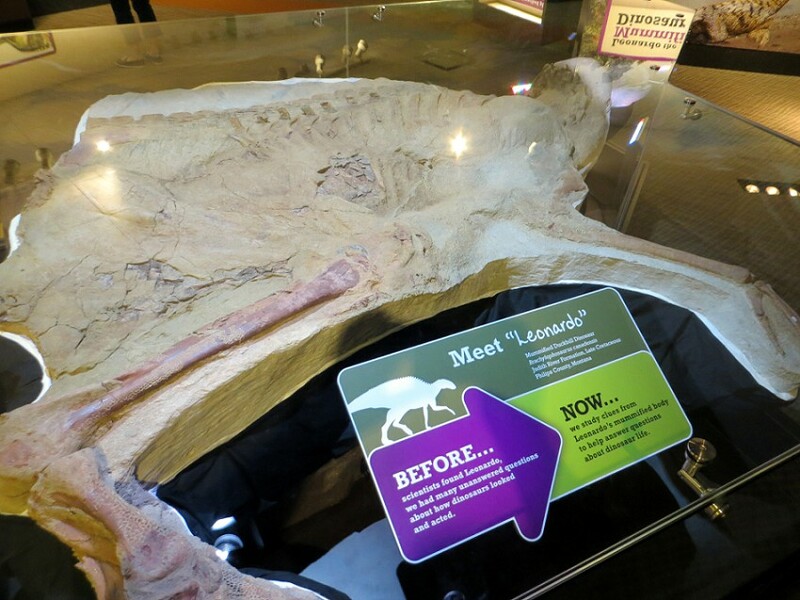 You can see Leonardo’s skin texture, his tongue and other organs, musculature, a crop-like structure in its throat much like birds have, the remnants of what looks like prehistoric formal wear. You can even see the contents of his stomach. His last meal was apparently a conifer tree. That is a lot of paleontological information that we just didn’t have before. It’s finds like this one that are transforming the popular image of dinosaurs from monochromatic plodding beasts that we had when I was a kid to the gaudy birds that dinosaurs are now, if I’m interpreting my Dino Dan right. I mean, dinosaur mummy. 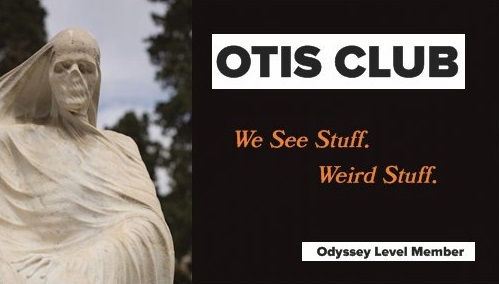 The old author still has a few nice plot twists up his sleeve.